That sounds possibly intriguing, but really, the cover is so arresting this one jumped off the screen at me before I saw any comments or review about the story. Here’s a review at Kirkus, but seriously, again, it’s the cover that caught my eye. 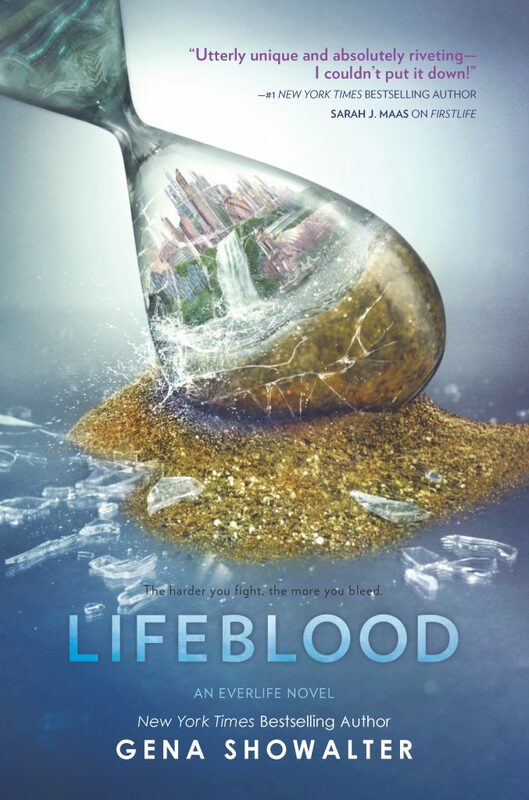 Very nice cover design; the idea of the broken hourglass is snazzy to start with and the the artwork is so good. Which I also like, and here is the Kirkus review for that one. The afterlife’s warring realms compete for an important girl’s soul. 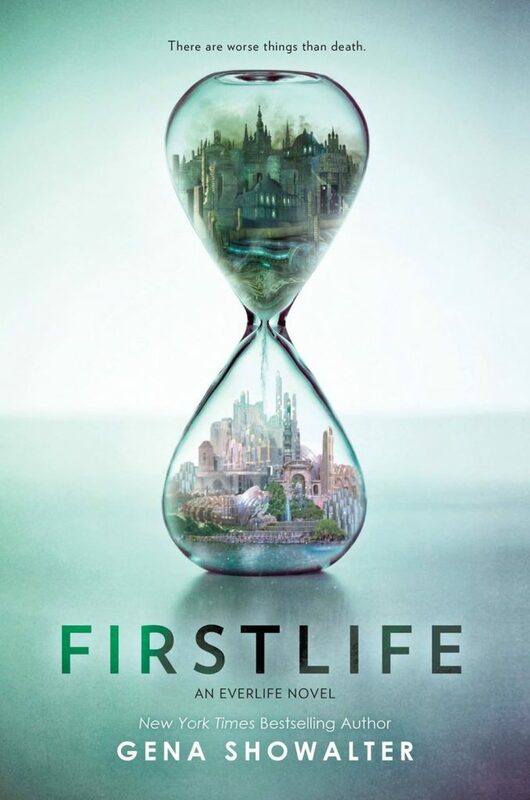 Tenley has grown up rich and privileged, but she’s refused to sign a contract with Myriad, the Everlife realm to which her parents have signed and which has provided her family with wealth in the Firstlife and assurances of comfort after death. That refusal causes her to be sent to a brutal asylum to be tortured until she changes her mind. Both Myriad (“Might Equals Right!”) and the other realm, Troika (“Light Brings Sight!”), believe Tenley could be the key to ending their eternal war. Each sends a Laborer to persuade her to finally sign; Troika’s is Archer, an impulsive wisecracker with a heart of gold, and Myriad sends bad boy Killian to seduce her…. Okay, well. Not sure it’s my thing, but on the other hand, those covers would make me pick these up and read the first pages if I saw the books in the store. In general these kinds of stylized covers don’t work that well for me . . . unless they do. 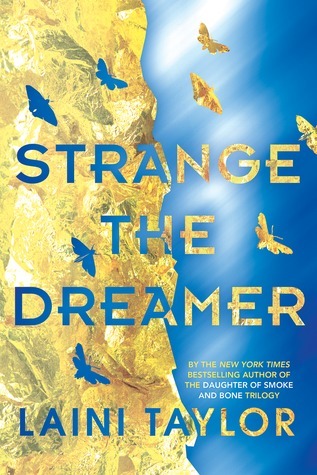 Here’s the Kirkus review for Strange the Dreamer, if the cover makes you curious about the book. Twenty-year-old orphaned librarian Lazlo Strange, whose brutish exterior conceals his cleverness, dreams of stories of a lost city. Two hundred years ago, six merciless, magic-wielding Mesarthim landed their seraphim-shaped citadel in the legendary city, blocking its skies and cutting it off from the outside world. Fifteen years ago, the Godslayer Eril-Fane ended their reign of terror with the Carnage, and now the city is known only as Weep. Seeking to restore the skies to Weep, reluctant leader Eril-Fane recruits scientists from the world beyond Weep—and bemusedly welcomes Lazlo—to move the allegedly abandoned citadel. … Okay. How *do* authors come up with these ideas? Somewhat off topic, but the Kirkus review attracted me to a different series, the first of which still costs $9.99 as an ebook (same price as second.) Silly publishers…. I probably won’t buy it–there is, after all, plenty of competition. Pete, I think we can all agree: you will search far and wide before finding someone who thinks the big publishers are handling ebook pricing just right. Rachel, knowing how many FSF authors are trending more towards bleak than I like, I have a wary reaction to those covers — and the taglines don’t help. Except for STRANGE THE DREAMER, which I also like better than I expect. Kim, I agree that “Night of Cake and Puppets” was truly delightful. A wonderful story. 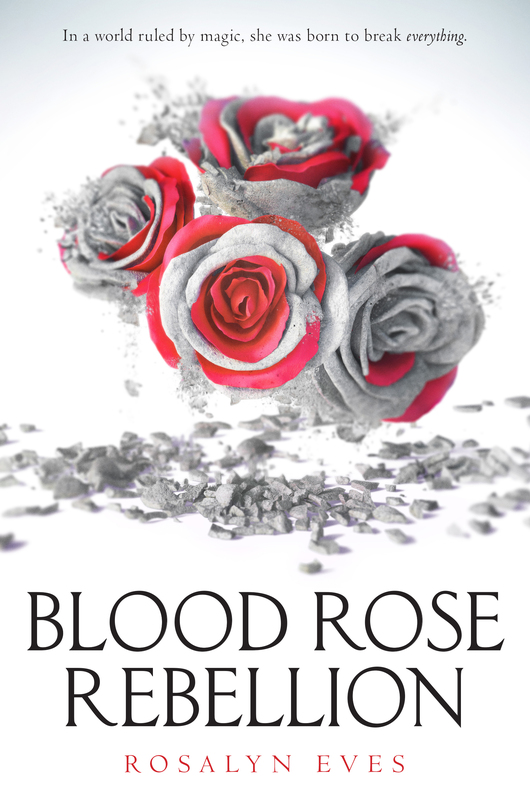 As far as the Daughter of Smoke and Bone trilogy goes — I liked it a lot, I really loved a lot about it, and it would have worked better for me if the angsty obsessive romance had been toned down about three orders of magnitude. I’m sure I’ll try Strange the Dreamer; the other covers are eyecatching and even arresting, but I doubt the books would appeal to me.